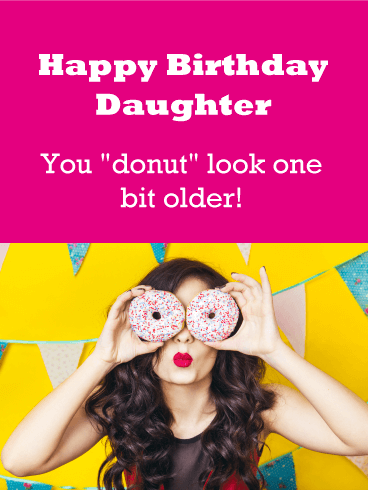 HAPPY BIRTHDAY TO MY DAUGHTER - I hope this year's celebration really takes cake. 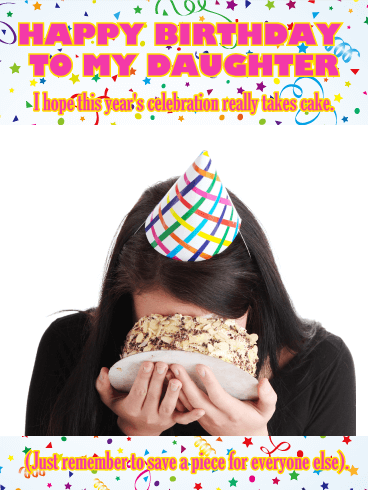 (Just remember to save a piece for everyone else). 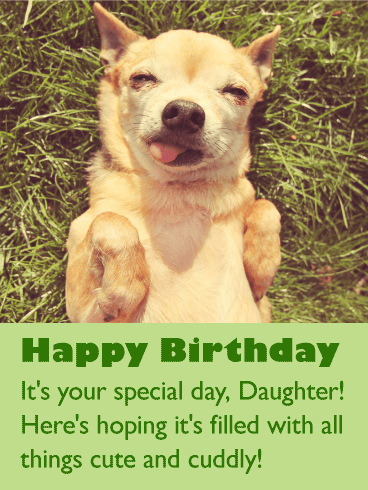 Could there be anything cuter than a little doggie to wish your own little "pup" a very happy birthday? 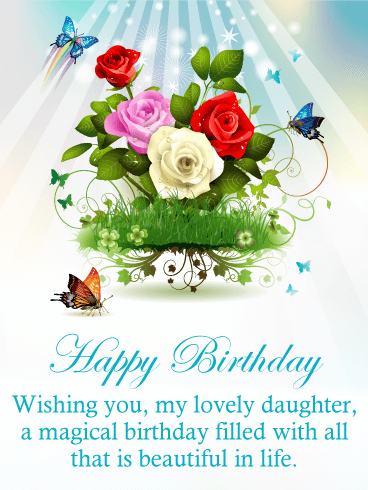 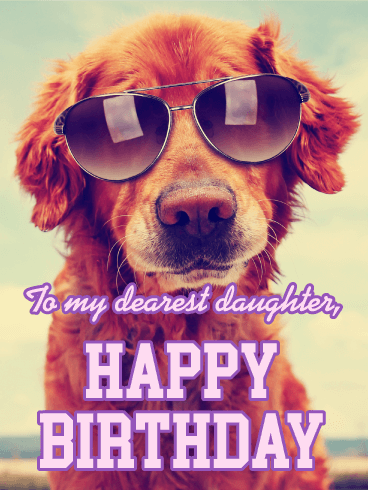 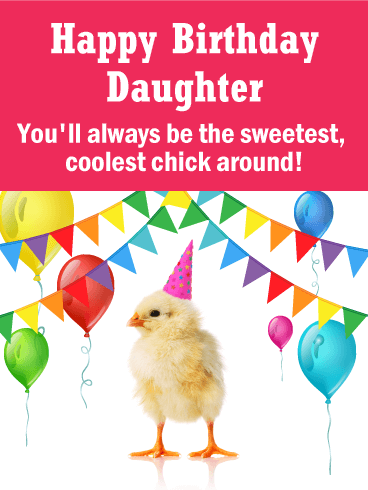 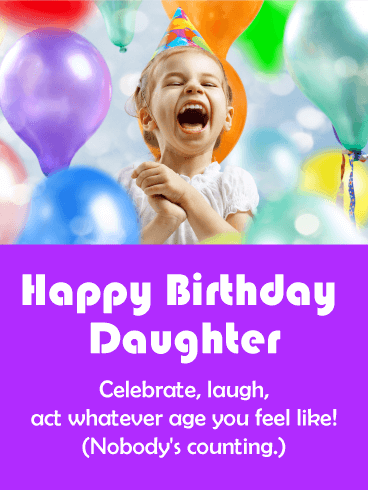 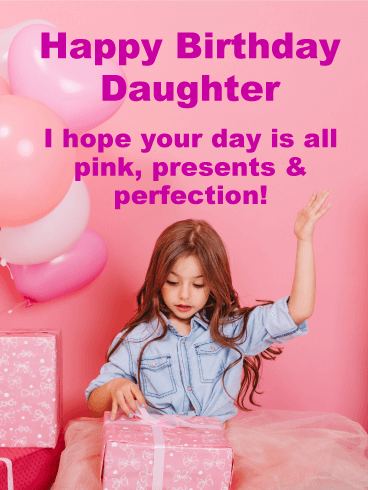 Whether she's young or young at heart, any daughter would love to receive this adorable birthday card. 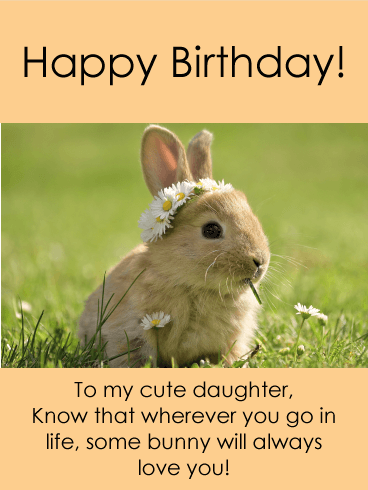 And just as sweet as the image is the message below it, wishing her a day filled with "all things cute and cuddly!" 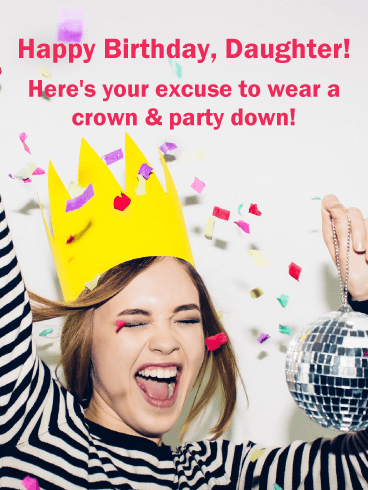 Aww...now time to celebrate! 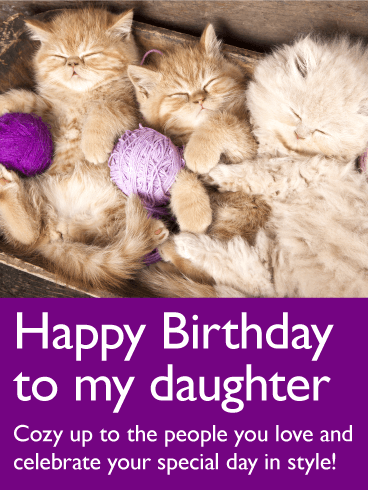 These content little kitties come with a special message for your daughter's birthday: "Cozy up to the people you love and celebrate your special day in style!" 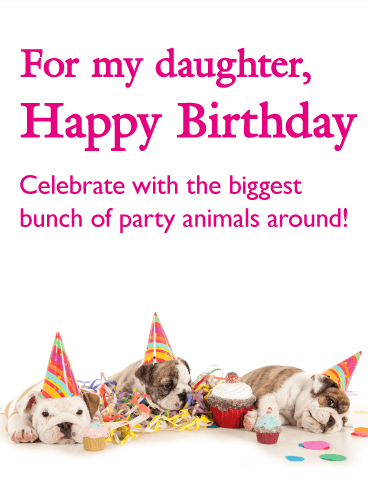 And what's more fun than being surrounded by family and maybe a few feline friends? 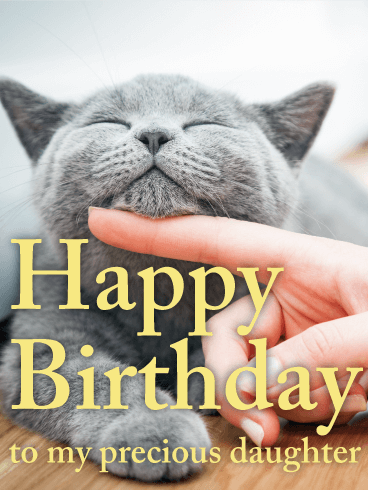 Whether she's a cat lover, or just appreciates cute birthday cards, you can be sure she'll think this year's birthday greeting is absolutely "purr-fect"!